Since its launch in 2015, Apple Music has come a long way, baby. The streaming music platform has a diverse catalog of songs, often gets exclusives from artists such as Drake or Chance the Rapper, and has its own popular Beats 1 radio station. Whether you are just getting started with Apple Music Getting Started With Apple Music — What You Need to Know Getting Started With Apple Music — What You Need to Know After the purchase of Beats last year, Apple has finally unleashed its streaming music service upon the world. Read More or have been a loyal listener since day one, there is a lot of stuff that isn’t apparent at first glance. For example, did you know iPhone users can get rid of that “@Connect” tab and replace it with Playlists? Or that you can hook Apple Music up to Shazam, so that when Shazam identifies a song, it automatically plays on Apple Music? Such tricks can make Apple Music a better experience 9 Tips for a Better Apple Music Experience on iOS & OS X 9 Tips for a Better Apple Music Experience on iOS & OS X There's a lot Apple doesn't tell you about Apple Music. Here are some of the best tricks for making the most of your tunes. Read More , adding a layer of features that any music aficionado in their right mind would want. 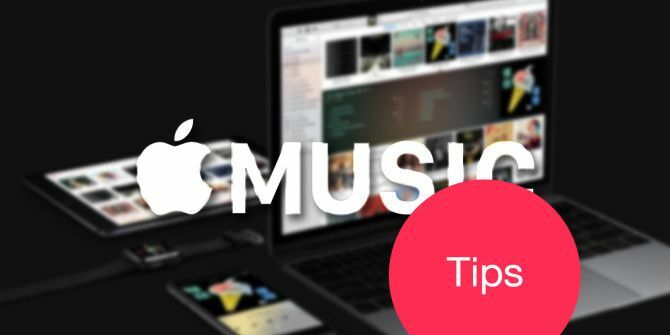 In that spirit, here are a handful of tips that every Apple Music user needs to know if they want to get the most out of the service. Apple Music was late to the music streaming game, and there were enough players like Spotify, Google Music, Rdio, Pandora, and others already in the market. If you used one of those, you’ll have set up playlists or added songs to your collection already. Instead of doing all that again, you can import Spotify, Rdio, or others’ data to Apple Music How to Import Spotify, Rdio and More to Your Apple Music Collection How to Import Spotify, Rdio and More to Your Apple Music Collection What if you already have playlists on other services like Spotify and want to replicate those on Apple Music? Read More . The best app for this, in my opinion, is STAMP, which works with several services, allows back-and-forth as well, and has a one-time license instead of any type of subscription. Sure, €9 sounds like a lot, but that’s basically one month’s subscription of Apple Music. Getting all of your old settings and playlists back for that price is a pretty good deal; not to mention, you can export and back stuff up in the future. Your speakers or headphones might not be primed for the type of music you’re listening to right now. Software equalizers let you adjust the audio output so that it suits the kind of music you mostly listen to. Apple Music’s equalizer is hidden away, unfortunately. But it still exists. You just need to find it and then choose the setting that best describes what you listen to most often. Unfortunately, Android users don’t have the equalizer setting in Apple Music for Android. However, there are plenty of cool universal equalizer tools to get the most out of Android audio The 4 Best Android Equalizer Apps for Boosting Audio The 4 Best Android Equalizer Apps for Boosting Audio Whether you're listening to songs or podcasts on your Android device, you need one of these awesome equalizer apps. Read More , so you shouldn’t miss out on anything. By default, Apple Music will change the quality or compression of the audio file to a lower setting if you’re using your mobile data plan. Is lower bitrate audio noticeable or not? How Audio Compression Works, and Can You Really Tell the Difference? How Audio Compression Works, and Can You Really Tell the Difference? In this article, we'll take a look at how music compression works, and whether it has any real effect on how your music actually sounds. 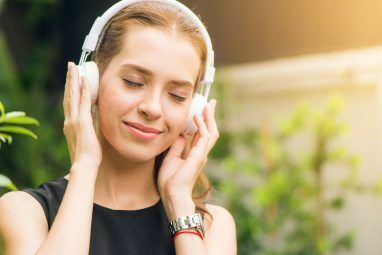 Read More That’s still up for debate, and it largely depends on the type of headphones you use or the sensitivity of your own ears. That said, if you want high quality audio even when you are on the move, there’s an option in the settings to make that happen. On iOS: Exit the Music app and go to Settings > Music > Streaming & Downloads > High Quality Over Mobile Network and toggle it on. On Android: In the Apple Music app, go to Menu > Settings > Playback > High Quality on Cellular and toggle it on. Remember, this will use more data and require either a good quality 3G or 4G connection. If you often have network troubles, it’s best to keep this toggled off. The kids (and those adults among us who have never really grown up) are going to love this. 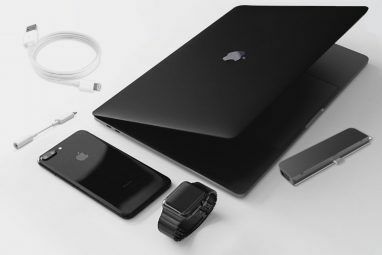 You already know that the hands-free Hey Siri command on iPhone or iPad Hands-Free iPhone With "Hey Siri": 4 Reasons to Start Using It Hands-Free iPhone With "Hey Siri": 4 Reasons to Start Using It Here's how Apple's hands-free "Hey Siri" command can make your life easier. Read More can play songs, search for particular titles in years, or even control your queue and library. But as one Redditor discovered, it can also search for sound effects. Among Apple’s vast catalog of songs is albums full of sound effects, from a simple buzzer sound to fart noises! Try telling Siri “Play funny fart 4” and it’ll launch into a rendition from the funny fart noises album. It’s for the kids, yes. That’s the excuse I’m sticking with. One of Apple Music’s prime offerings is the Beats 1 radio station, with celebrity hosts like Zane Lowe, Elton John, Drake, Dr. Dre, and other prominent music personalities. But how do you know when to tune in to Beats 1 Radio to listen to your favorite presenter(s)? Head to the official Beats 1 page on Apple Music’s Tumblr, where you will see the current month’s entire lineup of big stars hosting their own hour or two. Hover your mouse over the star to see when they’ll be playing, and set a reminder on Google Calendar Reminders Make Google Calendar an Incredible To-Do List Reminders Make Google Calendar an Incredible To-Do List Do you maintain a to-do list and a separate calendar? It introduces friction because tasks and scheduling are interdependent. Google now solved this by introducing Reminders to Google Calendar on Android. Read More to be alerted when it’s time. Did you miss the episode you wanted to listen to? Don’t worry, unlike traditional radio, you can turn back the clock and catch it again on Beats 1. In case it’s a show that’s part of a series, like Elton John’s Rocket Hour, just look for it on Beats 1 in the Music or iTunes app, or search for the show or artist. You’ll find the last few episodes under “Featured”, and all of the older ones under Playlists. Request a Song on Beats 1! I’m quite happy that Beats 1 incorporated this particular old-school radio habit. Much like you could call in to request a song on your favorite radio station, you can do this on Beats 1 Radio too! For the official call-in phone numbers, go to the Beats 1 Request page and find your country’s number. Another method is to just message Beats 1 on iMessage, Apple’s proprietary messaging platform. As you can see from the tweet above, you just need to send an iMessage to beats1radio@icloud.com with the name of the artist and song. Apple has focused heavily on creating and sharing playlists in Apple Music How to Create, Share & Discover Playlists with Apple Music How to Create, Share & Discover Playlists with Apple Music Playlists make it easier to discover, share and create your own personal collections from Apple's massive library of streaming music. Here's how. 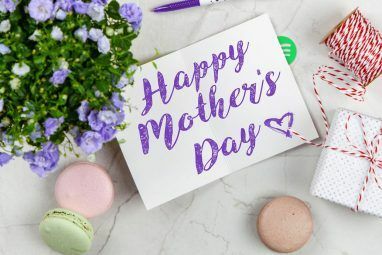 Read More , whether by asking its team of editors to curate them, or through smart algorithms that understand your likes and push certain playlists prominently on your screen. But the joy of music lies in getting playlists from other humans with similar tastes, right? That’s where Playlist Hunt comes in. It hosts a large collection of user-submitted playlists that is updated daily, and which users get to vote up so that the best playlists rise to the top. There’s a preview of each playlist, so you know what you’re getting into before you open it in iTunes or Apple Music. If you like what you see, just open it, like it, and it’ll be added to your favorite playlists. Simples. One other good site for finding user-generated playlists is Mixing.io. Mixing.io isn’t crowd-sourced though, most of the playlists here are generated by its panel of editors. So while you may not find something to exactly match your tastes, there’s a little more quality control here. As part of the new updates in iOS 10 What's New in iOS 10? Everything Coming to Your iPhone This Fall What's New in iOS 10? Everything Coming to Your iPhone This Fall Here's what features you can expect to see added to your iPhone when iOS 10 finally lands. Read More , Music will add a lyrics feature, but at the time of writing, it doesn’t exist. Lyrics are an essential part of the song-listening experience. Heck, there’s even a word, Mondegreen, to describe the common act of mishearing song lyrics and the misheard version getting popular. So before it gets to that, install Musixmatch Lyrics Finder on your iPhone or iPad. It’s completely free and hooks into your Apple Music (or Spotify) to find lyrics for the song you’re currently listening to. The best part is the cool widget in notifications Put Your iPhone Notification to Better Use With Clever Widgets Put Your iPhone Notification to Better Use With Clever Widgets There are a growing number of apps that take advantage of Notification Center with the specific aim of placing often-used features and information within swipe's reach. Read More , which updates the lyrics line-by-line as it’s sung. It’s kind of like your own little karaoke interface. But more than anything, it means you almost never have to open the app itself, since bringing down the notifications shade will show you the lyrics you want. Musixmatch also has a desktop app for iTunes and it’s THE best lyrics finder. Unfortunately, it costs a pretty penny. Check out our review and recommendations for iTunes lyrics app Sing At Your Desk with These 4 Lyrics Apps for iTunes on OS X Sing At Your Desk with These 4 Lyrics Apps for iTunes on OS X Whether it's part of a choir or in front of your PC, singing releases endorphins - otherwise known as the happy chemicals. Don't embarrass yourself in front of strangers at a Karaoke bar though -... Read More to find something that matches your needs. The “@Connect” tab is ignored by most people, and why not? It seems so random and uninteresting most of the time. But that’s because Apple is actually doing a terrible job of guessing who you want to follow. By default, Apple Music makes you follow any artist whose song you add to your music library. Yes, it’s that insane. But there’s a way to fix that. Tap Account (your profile picture) > Following and toggle off Automatically Follow Artists. Boom, your “following” queue will be cleared up. Now, if you want to use @Connect to keep an eye on what your favorite musicians are up to, just follow any band or artist that is still active (following Led Zeppelin at this time is useless, for example). Are You an Apple Music Convert? Given all of these tips and those we shared earlier, that’s a whole lot of ways to make Apple Music better than ever. In fact, it’s these added features that have made me switch to Apple Music completely, ditching Spotify for good. The fact that Apple Music costs just $2/month here in India also helps, of course. What about you? Have you tried Apple Music and ended up cancelling your other music streaming services? If yes, why? If not, what’s holding you back? Please let us know your thoughts in the comments section below. Explore more about: Apple, Apple Music, Streaming Music.